Penny Wade held a meeting with local stakeholders and secures financial support from the Richmond Parish Lands Charity and the London Borough of Richmond. SPEAR then opens an emergency accommodation scheme. In 1989, the Penny Wade night shelter then moved to a more permanent accommodation in Richmond on Kew Road. SPEAR begins to launch a lodgings scheme, community support service, specialist substance misuse service and the mental health accommodation service. SPEAR adds to its services by forming the rough sleeping outreach service. This team works with people whilst they are rough sleeping, enabling them to move away from the street and also offering support for those who are reliant on drugs and alcohol. Our Tenancy Support Service enables people to live in their own property who have been, or are, at risk of becoming homeless. They offer support with living skills and to better manage tenancies. Following on from our Penny Wade House, SPEAR recognised the need for more services and later setup a longer stay House (House with Multiple Occupancy) for 4 men in Richmond and an emergency short stay house (House with Multiple Occupancy) for men in Twickenham. In 2007, young people’s programme was established in Richmond for young men between the age of 16 and 19. This service offers housing support to three adolescents to engage in education in order to develop the skills to live independently. In 2009, the skills department service is formed. This was to support SPEAR clients and help them to engage in confidence-building activities, internal and external training and education and in turn help them progress towards secure employment. This service has also extended to involve service users as volunteers where possible, such as the Peer Mentoring Programme. SPEAR launches the Homeless Veterans’ support service which ran from 2011-2014. 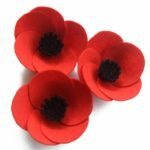 This dedicated service provided support, advice and interventions for ex-service men and women and their dependents throughout South West London. We particularly focused in Richmond, Merton, Kingston and Hounslow. This team provided a wide range of support in areas focusing on debt, benefits, accessing employment and education, housing, tenancy, sustainment and social inclusion, improving living skills and mental physical wellbeing. They also worked closely with many other organisations and services to provide a signposting and referral service in these areas where appropriate. Please read our excellent evaluation report on our Veterans’ Services from 2011-2014 here. 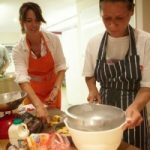 In 2011, SPEAR merged with another respected charity MASH, working with young people. 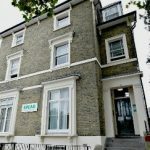 This Hostel and service offered accommodation in Merton to 9 young individuals between the ages of 16-21. The accommodation has now increased to 16 bed in 2015. All these young people work with a keyworker to address particular support needs. In 2012, the Heath Road project was introduced and the approach to skills development and progression to employment was adjusted. Also, support was secured from the Berkeley Foundation and St George. In 2013, SPEAR successfully won funding to operate a Sub Regional Resettlement Team working within Wandsworth, Sutton, Richmond and Merton. This team works with rough sleepers and the private rented sector. In 2015, the Homeless Health Link Service was launched. This is a contract between the communities and local government, Royal Borough of Richmond, Kingston, Merton, Wandsworth, Kingston and Sutton. This allows SPEAR to give our rough sleepers a full health MOT and link them with health specialists. In the past 3 years, we have seen a notable increase of female rough sleepers. In response to this, we secured funding for two new supported housing projects for women. One of these were aimed at female rough sleepers who experienced domestic violence and the other was open for women with all backgrounds. In 2016, SPEAR launched Service User Involvement and Peer Mentoring for our clients. Clients can get involved in the activities of the charity and also some of the dialogue of the charity, making sure their voice is heard. SPEAR clients can also take a Peer Mentoring qualification, ensuring they can go on to support other clients. Some of these Peer Mentors have gone on to be employed by SPEAR too. In 2017 two years of funding for the Homeless Healthlink service in Richmond and Kingston was granted by The Big Lottery. This was SPEAR’s first ever Big Lottery grant. This enabled SPEAR to build further on their work in this area (previously funded by The Department for Communities and Local Government. In 2017, Fresh Start service started. Fresh Start is an early intervention, homelessness prevention programme, which is outreach and community based. The service was commissioned by Kingston, Sutton and Merton Councils and works closely with Local Authority Homelessness Commissioners. In 2017 SPEAR’s outreach service expanded from Richmond, to run across five boroughs. Funding was granted for two years from the London Boroughs of Richmond, Kingston, Wandsworth, Sutton and Merton. The aim is to reach over 700 rough sleepers in two years across these five boroughs.